Amazing Rental Calendar on this Large 8 Bedroom Lancaster Model in walking distance to the Aqua Park. This home features a 8 Bedrooms with 6 Full & 1 Half Bath there are two bedrooms on the first floor with the remaining 6 bedrooms on the second floor. The second floor also features a loft billiards rooms and a home theater for the family to enjoy. This is the largest of the 8 bedroom floor plans in Encore Resort with over 3,600 square feet of air conditioned space. The best part about this home is the large pool and outdoor living space to enjoy the Florida Sunshine! 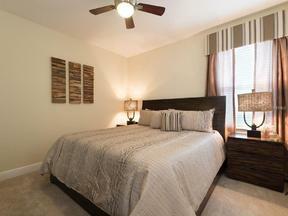 Don't miss this opportunity to own a fully furnished turnkey rental in one of Orlando's Premier Resort Communities!